The ANG CyberPointers Chapter is holding a meeting and September’s topic is “What types of wearable art interest each of you?” What types of wearable art have you tried or would like to try? I love pins and earrings. I did do a Mill Hill beaded pin for a friend but I don’t have a picture of it. I have several kits & a couple are done but I don’t know that I can readily find them. So, I will just share these pins that I found at flea markets. I have no idea who designed or created them but I wanted to share them. And, I skimmed The Crafter’s Guide to Taking Great Photos by Heidi Adnum that I bought at Ruth Kern Books at seminar. I think it’ll take some more reading (especially about the lighting) and practice but what doesn’t? 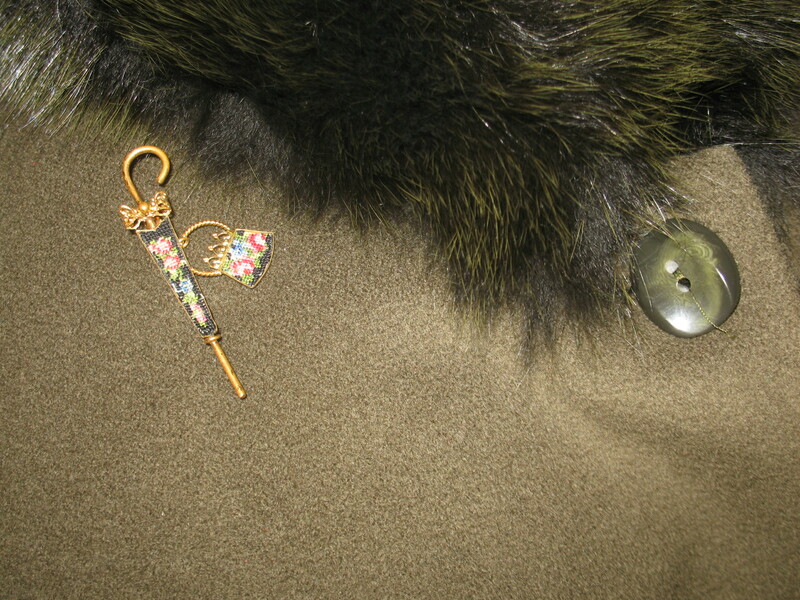 I just love the umbrella and matching purse pin! 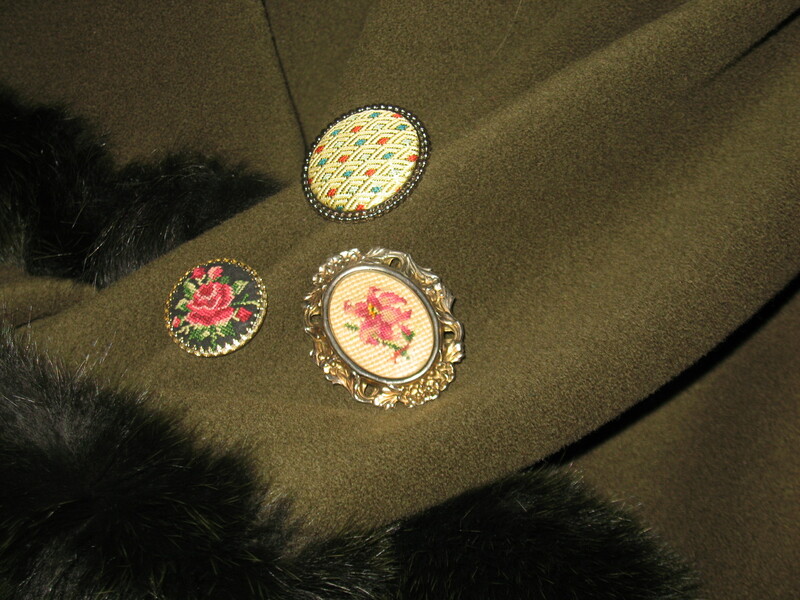 I’m quite sure that the top one in the photo below is not hand stitched but I liked the pattern. The one on the bottom right is under a plastic protector and has petit point.